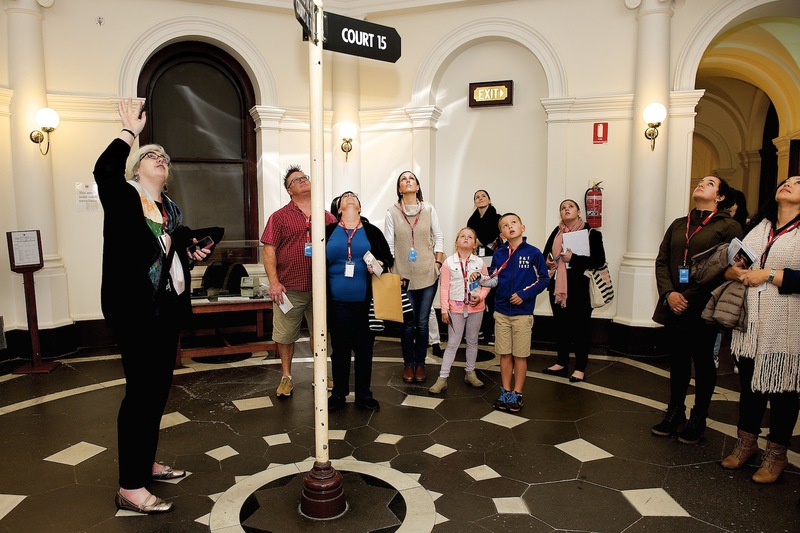 Go ‘beyond the Bench’ at the Supreme Court of Victoria, on a special Courts Open Day tour. Learn all about Victoria’s highest court and the types of civil and criminal cases that come before it. Explore the elaborate Banco courtroom, the grand Supreme Court library and the beautifully restored courtroom 4, while a Court staff member highlights aspects of the Court’s history and heritage and provides an overview of what the Court and its judges do today. Please arrive 10 minutes before the tour departs and meet in the rotunda outside Banco courtroom. All visitors are subject to security screening. For pram and wheelchair access please see security staff for assistance. Presented by Supreme Court of Victoria . Contact Michelle Dall from Supreme Court Victoria.